Salamanca is a beautiful and friendly city in the northwest of Spain, 212 km from Madrid, in the autonomous community of Castile and Leon. A small city of more than 160,000 inhabitants , its relatively large student population of approximately 30,000 gives the city a cosmopolitan, hospitable and pleasant edge. 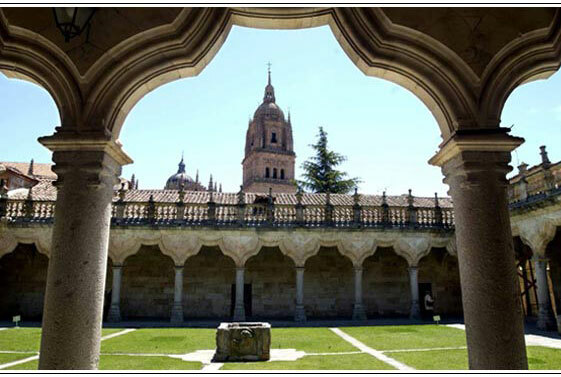 The University, founded in 1218, is is the oldest in Spain and along with Paris, Oxford and Bologna, is one of the oldest in Europe. It is also home to numerous long-established and highly respected academies and learning centres of Spanish that boast a highly trained teaching staff. It is the perfect place to learn Spanish, to speak a proper, fluent, and accentless Castilian in a friendly, warm atmosphere.. These are just some of the reasons why students choose Salamanca to learn Spanish. Salamanca is a well-kept city, and more importantly very safe. It is young, dynamic and vibrant, with a rich cultural heritage, and some outstanding monuments. It is no surprise therefore that it is a designated World Heritage Site and a point of reference for tourism. In conclusion, Salamanca is a magical city for learning languages and having fun.